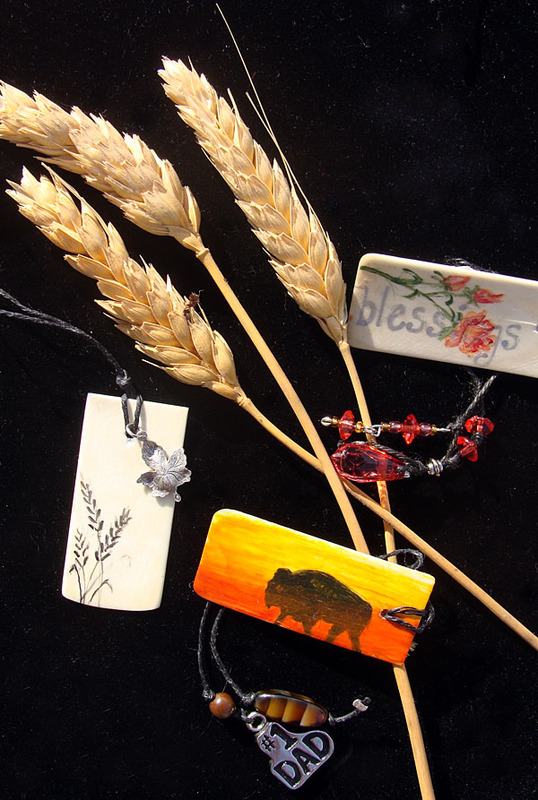 This photo shows a few of our ivory bookmarks and necklace. We take (old) original ivory off of piano’s (some dating back to the 1800’s) .. we polish/clean them up, drill holes, hand paint a design on them, and then accent them with beautiful bead work. Our bookmarks make great gifts for the book/music lovers! We custom design them for any occasion! Our newest works include many new necklace pieces~ with elegant black painting – and a variety of beading added to it. Visit our website – we have many designs available ! www.dakotablessings.artfire.com We are at Artfest – tonight & tomorrow ! This entry was posted on October 15, 2010 by dakotablessings. It was filed under Uncategorized .